Building on the momentum of a pilot IMMA workshop sponsored by the MAVA Foundation (focused on the Mediterranean Sea) and the five IMMA workshops supported by the IKI-funded GOBI research programme (targeting the Indian and Pacific Oceans), the French Biodiversity Agency is hosting a complementary IMMA workshop targeting the Southern Ocean and Sub-Antarctic waters, held in Brest, France from 15 to 19 October 2018. 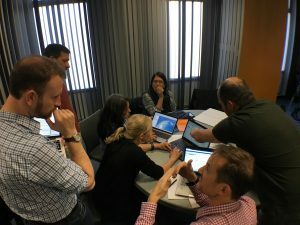 At the workshop, 20 international experts on Antarctic marine mammals are gathered to assess the information available and delineate areas considered as significant for the maintenance of healthy marine mammal species and populations. These areas will undergo further scrutiny through the formal IMMA process and the embedded peer review process. 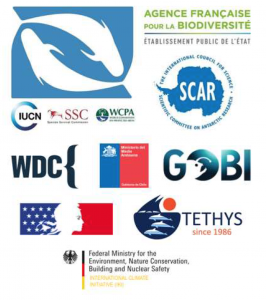 The IMMA process is by now a well-oiled machine, having already been applied by the IUCN Marine Mammal Protected Areas Task Force following three completed IMMA workshops (Mediterranean Sea (Oct. 2016), Pacific Islands (Mar. 2017), and North East Indian Ocean and South East Asian Seas (Mar. 2018)). The validated outcomes of the workshop currently underway in France are expected to be ready for distribution later in 2019. For more information about the Task Force and the IMMA programme, see marinemammalhabitat.org.